Beautiful Horse Farm nestled approximately 60 miles North of Atlanta, GA in the Lake Lanier Region of Northeast Georgia in Area of very strong Growth. 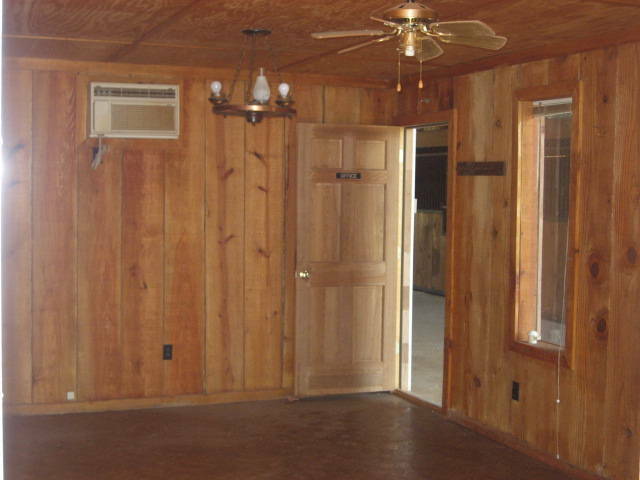 7+/- Fenced & Cross Fenced Acres with (2) Homes including a 3BR / 2BA Ranch Main House and a 2BR / 1BA Caretakers or In-Law Suite, and Metal 8 Stall Horse Barn, (built in 1998), on poured slab with Office, Tack Room, Hot and Cold Water, Grooming Stall, Hay Loft & 15' X 40' secured storage, Shavings Stall and more. Property is on Well Water, however County Water is Available. 425+/- Feet of Frontage on Paved County Maintained Road. Monthly Boarding fees in this area range from $300-$400 per month. Beautiful Area of Horse Farms. 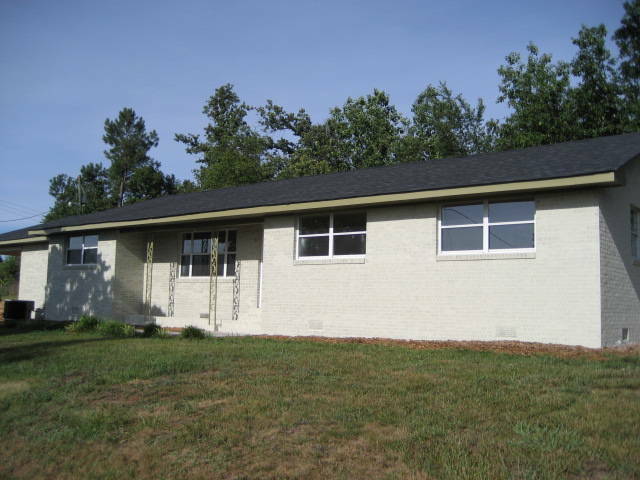 Primary Home is a solid brick ranch style home with 3 Bedrooms and 2 Baths with open floor plan and large porch. 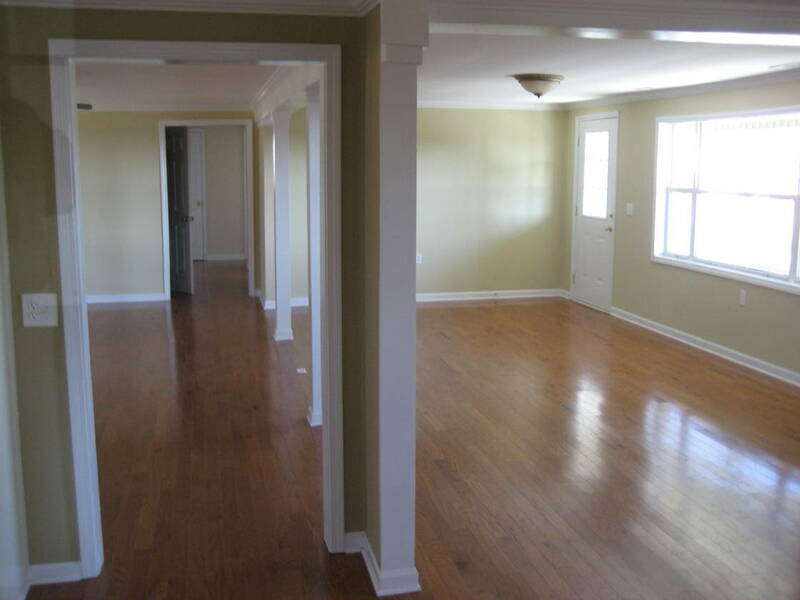 Hardwood flooring throughout with open kitchen, dining and living area. Recent renovation includes new paint, doors, fixtures, registers, vents, doorknobs and all hardware. 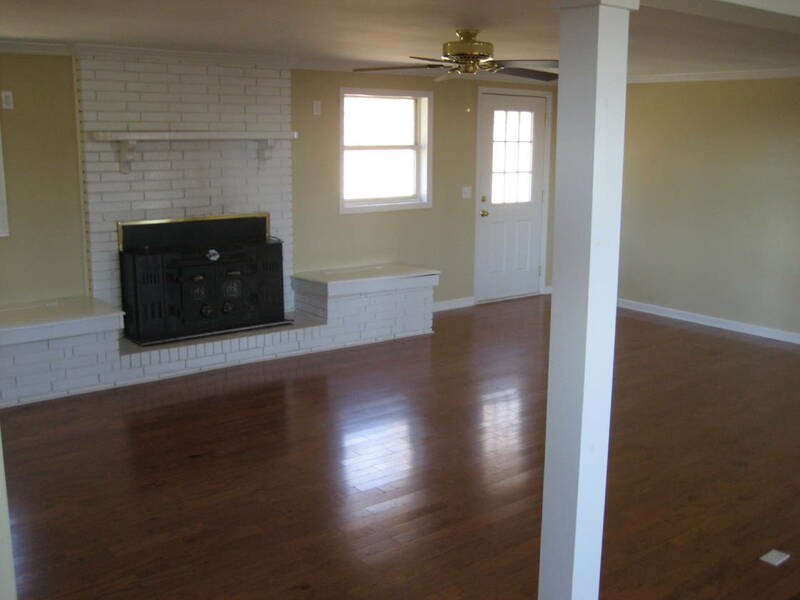 Home has wood burning fireplace insert and Central Heat and Air Conditioning. 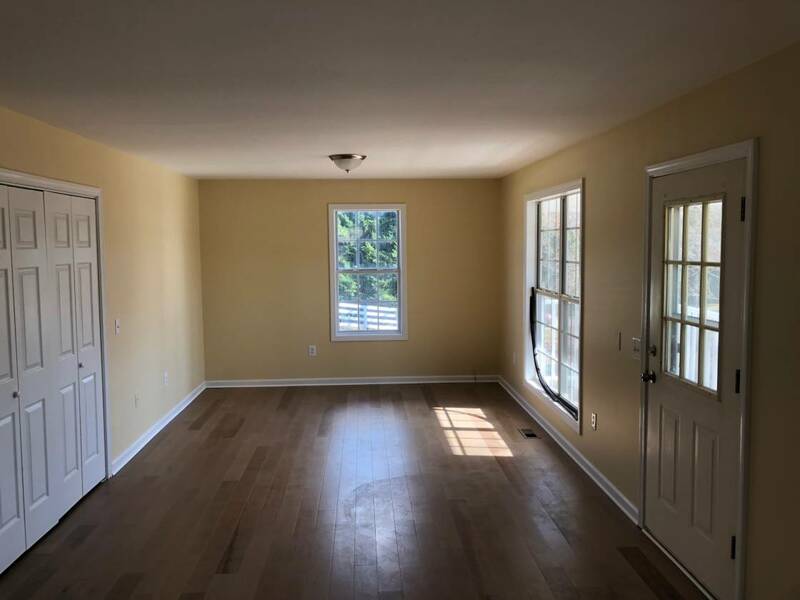 Secondary Home built in 1998 has recent complete renovation, including all new Hardwood Flooring in Bedrooms and living area with new tile in bath, laundry, entry and kitchen. 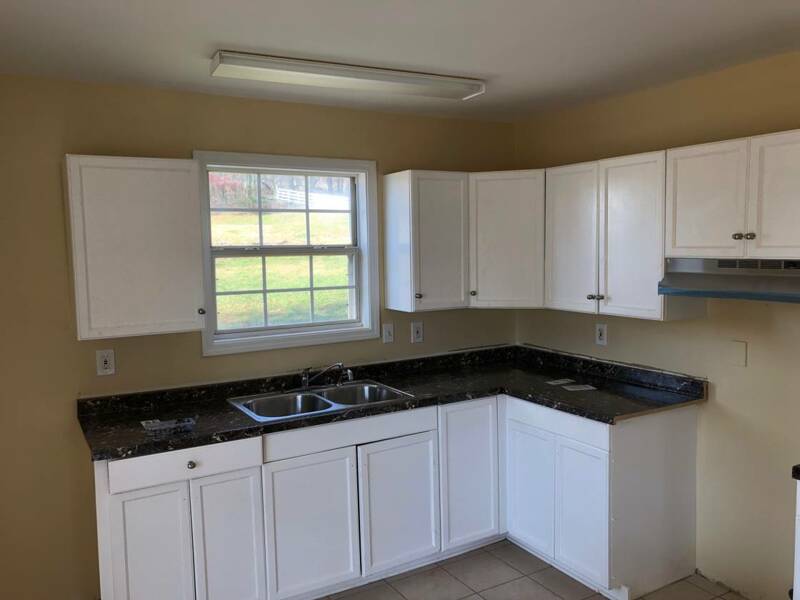 New Appliances, counter tops, sinks, vanities, paint, light fixtures, hardware fixtures and more. 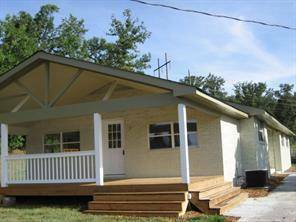 Home has a large poured 2 Car Carport, Central Heat and Air with backup propane heat and is on County Water. 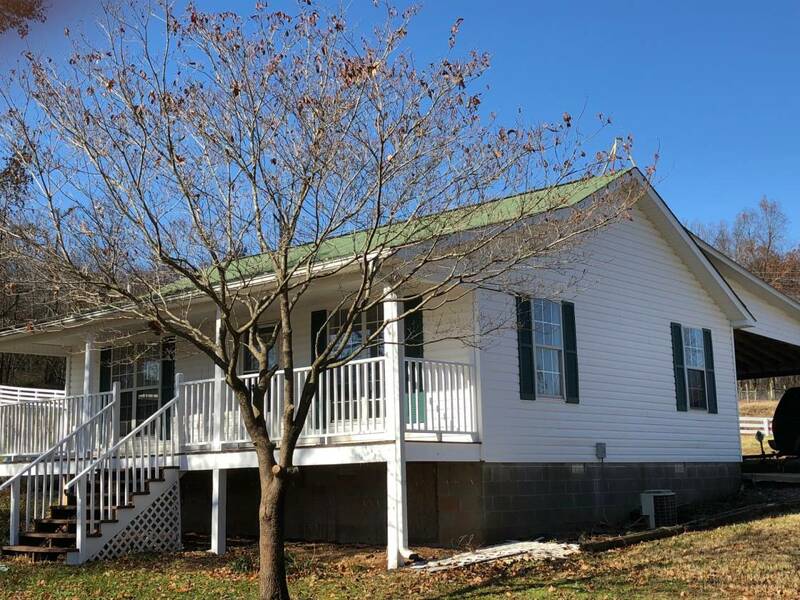 Both Homes are beautifully positioned in regards to Barn Location. 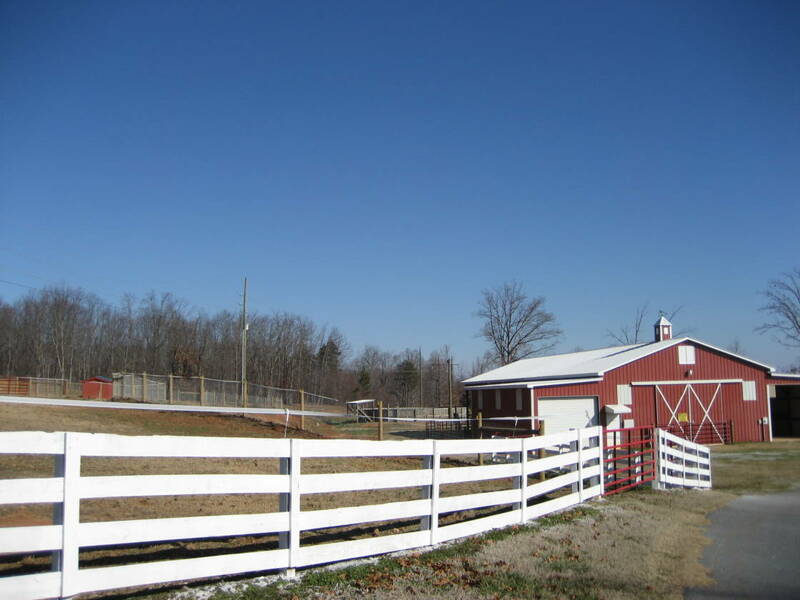 All Pasture with fencing and cross fencing along with standpipe water. Very level with woods border on (2) sides. 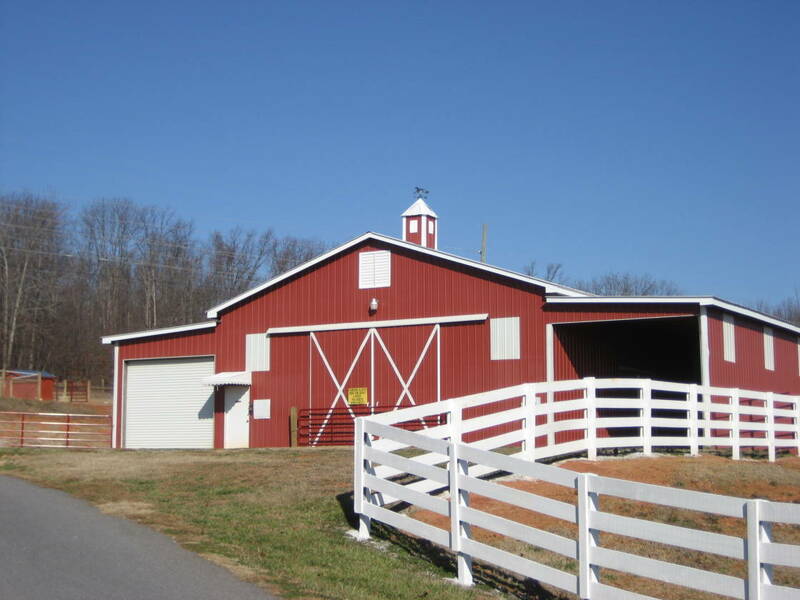 Barn Area has substantial parking for office, loading and unloading. Excellent Road frontage provides this property with future flexibility of potential development. Barn is on a poured slab with ability to drive through. Wash / Grooming Stall with Hot and Cold Water. Office with AC for conducting business. 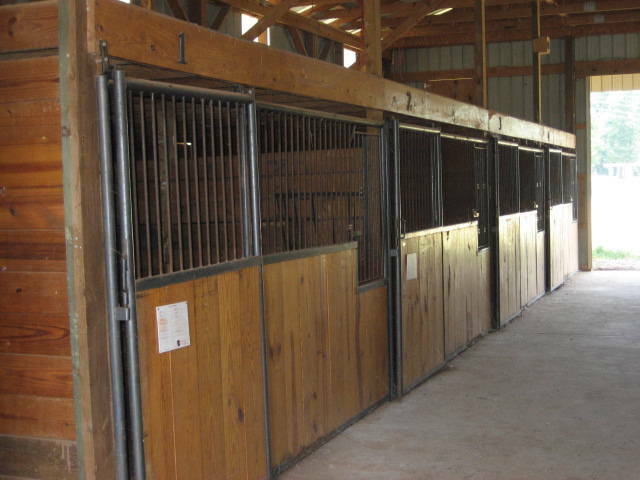 15' X 40' secure area with roll-up door for trailers, tractors or other equipment. Large Shavings stall. Electric Gable fans on both ends. Well lit with exterior Security Lighting and large rear overhang. 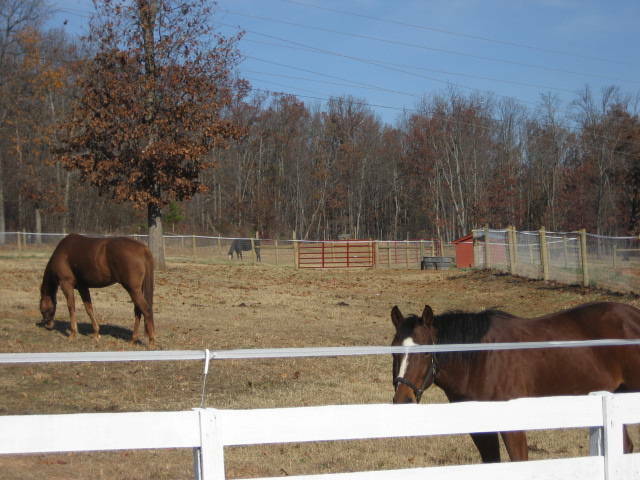 Mostly level Pasture with water and privacy. 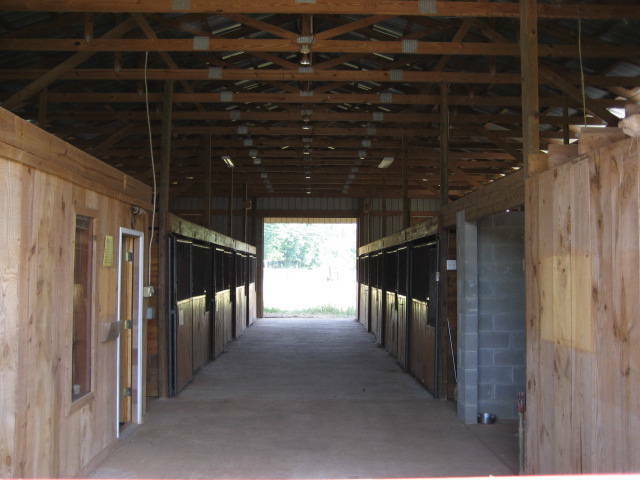 8 Stalls can be configured with or without dividers.